We go into much greater depth and detail on what each of those four parts contain (as well as share a bonus 5th part—that’s possibly the most important). A mastermind group is typically compromised of peers who are at or around your level. You can join a mastermind group by being invited or by starting your own. Decide on the group’s focus and find people with the right mindset. Look for members who compliment each other (not all the same type of person). The people you invite into your mastermind group should be people who are already taking action. Schedule time meet in person regularly with your mastermind group (even if you have to fly out). Each mastermind session should include the sharing of updates, goals, challenges, and commitments. Whenever possible, try not to be the smartest person in the room. You’re not going to get value unless you take action, so make action-taking a part of everyone’s assignments. Stay consistent, stay in touch, and stay motivated. 02:59 I’m right there with you. I’ve never been in a mastermind group. I have some friends that dream big and help me pursue things, but it’s not like a mastermind group. 03:17 Sean: So, first of all, what isn’t a mastermind group? People might be wondering, “Is the Community a mastermind group?” No, it’s not. It’s not the same. A mastermind group is just a few people. We’ll talk about the ideal range and number of people, but it’s typically a very small group with you and a few other people that meet on a consistent basis. There are different intervals that you can meet, but it’s people at your level—maybe a little bit ahead of you or a little bit behind you, but generally at your level—this is not quite the same as a mentorship. 04:00 It’s not like you’re getting around a bunch of coaches, necessarily. Some of the benefits are similar, but a mastermind group is typically a group of peers at or around your level. 04:12 Cory: So you wouldn’t be like a number two with a number nine. That’s not really a mastermind. That’s more like mentorship. 04:19 Sean: Exactly. Do you have any questions on, more specifically, what a mastermind group is before we get into the details of why you should be in one or how to find or start one? 04:33 Cory: Is a mastermind group small? It’s not like a conference. A conference can’t be a mastermind group. The Community is a great place, but it can’t really be a mastermind group. 04:50 Sean: You’re talking with one other person, and that’s kind of like an accountability partnership, and someone asked, “Can you have an accountability partner in a mastermind? Is that okay, should you do that?” I think that’s totally fine, but picture talking to your accountability partner and one other person is listening. They may have some good insights, but it’s literally only one other perspective. I don’t think three is the ideal for a mastermind group. I think you can do it. It could be an awesome, tight-knit group. Ideally, have four people in your mastermind group, because then you can get exponential perspective. 05:36 One more person has a perspective on someone else’s perspective as well as yours, and it’s really good. Four is probably the minimum for a solid mastermind group, but then the upper level I would not put beyond eight. We’ve had as many as seven in the first group that I did, and it was pretty good. It definitely took several days, and we’re going to talk about whether you should do this in person, whether it should be a retreat type of thing or a regular call. We’ll get into that. 06:15 We, at this time, did a mastermind retreat, which went several days, and it actually took several days to get into all the sessions with seven people. It’s just pretty intense, so I would say no more than eight people. Four to eight people is probably the range you want. Six would be really good. Five is good. Seven, you start feeling those upper limits, and it’s kind of hard to get to everyone. 06:41 Cory: I would imagine you’d have to find people that are very intentional about this, because I can picture four of my friends kind of being on board, but then it turning into this hang out. I feel like you would have to find people who really get the idea and the spirit behind a mastermind group. 06:59 Sean: Yeah, it could easily turn into a hang out, which is not something that you want. 07:09 Sean: A lot of people are like, “Okay, masterminds sound cool. Where do I find these, and how do I get in on one?” Most of the time, it happens spontaneously. It’s not like there’s a directory of mastermind groups that you just search and you find. It usually happens spontaneously. You know someone in a group already, and they invite you in. That’s almost always how it happens. 07:32 Otherwise, you’re pretty much left with starting one. That’s how it’s going to be. Either you know someone who’s already in, who’s at your level, and they invite you into the group, or you start your own. Someone had asked, I think this was Eugene, he said, “How smart do I have to be to be in a mastermind group?” It’s not like Mensa. It’s not an IQ thing. It’s called a mastermind group because it’s where you go and brainstorm. You don’t have to have a certain level of intelligence to be in a mastermind group—it’s just matched by your peers in the group. 08:05 You either have to know someone who invites you or you’re going to have to start your own. Ed says, “What kind of discernment should you have when selecting members for your mastermind group?” If you’re trying to find one, you’re going to want to make sure it’s a really great fit for you, your personality, your focus, your discipline, where you want to go. It’s good to have some variance, but only within a focus. What is the purpose of this mastermind group? 08:38 You’re going to have to ask this either way, because if you’re going into one, you’re going to need to find out if it’s the right one for you. If you’re starting one, you’re going to need to make sure you have that well defined for other people. What is the purpose of this group? What’s the focus of this group? What are we about? There can be some variance within that, but it’s good to have that defined. Are we artists? Are we founders? Are we managers? Are we videographers? Have your focus, and there can be some variance in that. 09:09 Cory: That makes sense. 09:14 Sean: What should you look for? First thing, it applies here as well, decide on your focus or purpose and find people with the right mindset. If you’re starting your group, you’re the one who’s recruiting people. I would not go out looking for the coolest, best top people that you really look up to and want to be like and wish you were at their level. Again, this is not a mentorship. It’s not like free consulting or coaching. 09:43 This is a mastermind group with peers, people who are at your level, shoulder to shoulder, ready to grow together. How do you find the right people? It’s all about mindset. It’s all about the way they think, the way they’re operating, and how they’re taking action in line with that. Look at the way they talk. That’s a good way to find out the way they think. Then, look at what they do. Make sure the people you invite into your mastermind group are actually taking action. 10:08 You may like a person. You may have a friend. You may think, “Yeah, they have pretty good mindset,” but what are they doing? If they’re not taking action, they should not be in your mastermind group. Yes, part of the point is to get people to continue taking action, to start, work on things, and continue working on things, but it’s not a place for someone who’s not already taking action. It’s a place where they can multiply that. If you multiply a zero, it’s still a zero. 12:10 “You’re the type of person I think could help me with this, and you’re the type of person I want to be around. Obviously, it’s good for me, but I want to provide that same level of assistance and accountability to you. I would like to get a group of maybe half a dozen people and start meeting regularly.” Then, see what they say. 12:30 Cory: I really like that. I like approaching it with saying, “Hey, we can both help each other out,” instead of just focusing on one or the other. Also, like you said, it’s almost like approaching it the same way you would with an accountability partner. I really liked that. 12:43 Sean: Just be straightforward and honest. Say, “Look, it would help me.” Be straightforward. Then say, “I would love to give that to you.” Just be honest. 12:58 Sean: This doesn’t necessarily mean that everyone is exactly the same, but it means that they’re complimenting. In the sense of colors, complimentary colors are not the same, they just work well together. They’re different, but they work well together. The nuance to this is that you don’t necessarily want carbon copies of yourself. If you pick the opposite of yourself as someone who works well with you, you don’t necessarily want carbon copies of them. 13:32 Ideally, you want a group that’s multifaceted. You want that varience. You want that slight difference in background, approach, and perspective. That’s the grit. Those differences are the grit that helps polish everyone. If you’ve got sandpaper and it’s not really fine, like if you add noise to a photoshop layer, it’s all really crazy and fine, if it was just in rows or stripes, if you rub that on something, you’re just going to rub lines into it. You want all kinds of different varience. You want that roughness, that grit, to have varience in it so that you polish the final result. 14:17 You’ve got all these different people with different backgrounds and perspectives. They’re tumbling against each other, and it has a refining effect. If all of you think exactly the same, do the same thing, come from the same background, and have the same perspective, it’s just going to be an echo chamber, and that doesn’t help anyone. 14:34 Cory: I actually have to do that, too. I see people who do really good work. I’m looking to collaborate with them, and it’s not necessarily for a mastermind group, but I do need to find people that compliment me. Maybe I know someone that’s really good at the cinematography of things, and I have a better overall picture, which they don’t. We can help each other. He can improve some of my skills or help me with what I’m lacking, and I can help him with overall picture things. I like that. Find people who compliment you; something that’s not your strong suit might be someone else’s and visa versa. 15:16 Four to eight people. Try to keep it in that range. 15:22 Sean: You’ve got to have regular meetings. These could be weekly calls, monthly calls, or, in my case, we meet in person and do a really in-depth retreat a couple times a year. It really just depends. It is a bit of a bummer that my group doesn’t communicate more often. We don’t have weekly or monthly calls. It’s comprised, not entirely, but half or mostly of founders or CEOs. It’s really busy people. I know that you have time for the things you make time for, but it’s really difficult to get people to do a weekly call, for instance. That’s very expensive. 16:14 For us, it’s kind of like diminishing returns. We could do a call every week, and that would be great, but would it be as good as the time we’re losing not working on something else? It depends on how on-track you need to stay. How on-track can you remain without accountability? 17:07 Cory: Yeah, I feel like that’s a little too often. I would do every other month. 17:10 Sean: Or even every quarter. 17:13 Cory: I guess everybody is different. 17:15 Sean: What we’ve done is different. It really does depend. Some groups I know will have a weekly call, and you can totally do that. For instance, you could have a weekly call that’s an hour or 90 minutes long and you focus on one person. When we do our retreats, we’re spending like 10 hours a day on sessions for multiple days. That’s how long it takes to get to everyone and do a really deep dive. If you’re doing a weekly call, you can’t do 12 hours in a day one day a week. If you do a weekly call, focus on one person, and then shift it around each week. 19:55 We do it twice a year, and we do several days of an intense retreat. If they can’t make it they can’t make it, but that’s what we do. That is my mentality. Fortunately, several other people in the group said, “Yeah, we’re doing it. We’re making it happen no matter what. Whatever we have to do.” That made me happy, because I want to share my positive update. 20:27 Cory: It’s obvious to me that you want it to be consistent, Sean. Just the last episode that we did, we talked about sabbaticals and chaining habits. You’re all about systems and, “What’s wrong guys? Let’s do this.” It’s important. 20:43 Sean: I want it to be consistent. 21:19 Or, what I would prefer and recommend, to get in person. I know that Cory was talking about that before the show. Should you do it online vs. in person? I understand the limitations. Online does make it a lot easier, but I have to say, it’s like conferences. If you’ve ever been to a conference, you know that it’s not the same as Twitter, watching a YouTube video, being in a chat or in a Facebook group. It’s just different. 21:47 It’s deeper. It’s better. In person is just better. It’s so much better. I really encourage you to schedule time in person with the people in your mastermind group. It’s so important. I spend a couple thousand dollars on a retreat a few times a year, but every single time, it changes my business, completely revolutionizes my business. Don’t think, “I can’t afford to rent out a place or fly somewhere for a mastermind retreat.” You can’t afford not to have that clarity. 22:44 Updates: where are you now? We’re updating each other. This is the same thing even if it’s your very first mastermind session. It’s not really an update because they don’t know what the last time was, since it’s the first time, but you’re talking about where you are now. Ideally, the people you’re in a mastermind with you probably knew before you invited them to the mastermind, so it kind of is an update. They might know your story, but give them the freshest stuff. Where are you really right now? 23:13 Next thing is goals. Goals are, where do you want to be? You probably wouldn’t be in a mastermind group if you already were where you wanted to be. Where do you want to be and what are your goals? Then, the challenges. These are sharing things that are keeping you from getting there, that are keeping you from reaching your goal and getting where you want to be. What are the bottlenecks? What is keeping you back? Share your challenges with the group—that’s probably the most important part. 23:41 Then, finally, after you get feedback and stuff, you have commitments. These are the things you will have done by the next meeting. There’s always action steps. There are always assignments at the end of a mastermind meeting. What are you going to have done? This is where you are. This is where you want to be. These are the things keeping you from getting there, and this is what you’re going to do. Then, the next time you come, the updates section will include how things went. 24:17 Cory: I’ve done this on a very small scale. It wasn’t a mastermind group or anything, but I had an accountability partner, and that’s pretty much what we would do. We would update each other. We would say, “This is what’s going on. This is what I did since last time.” Then we would talk about goals, although we would usually save those for a separate call. We would do one call for updates, what didn’t work, what challenges we have, and what we didn’t accomplish. That goes under updates. 24:49 Commitments. “What are you going to do by the time we call again? I’m going to ask you. Are you going to have it done?” I’ve done that with an accountability partner, but we usually do a separate call for goals where we zoom out and ask each other whether everything we’ve been doing is really helping us get where we want to be. I’ve done it on a small scale with accountability partners, but I’d love to do it with a group of people and get different perspectives. 25:18 Sean: I really do recommend that, even with an accountability partner, you put it all into one. You could do the same thing here with an accountability partner: updates, goals, challenges, and commitments. The reason you’d want it all in one is because there’s no point in talking about how things have gone and what you’re going to do before you’ve decided what your goals are. Those are the four sections. 25:42 The bonus is a session we call Unsolicited Advice (Related: seanwes podcast e209 Unsolicited Advice—Recap of A Mastermind Retreat). This is something we started doing in our mastermind group. Normally, you wouldn’t want to go out in the world and say, “Hey, your hair doesn’t look that great,” because it just offends people. 25:59 Typically, you don’t want to give people unsolicited advice. If they’re like, “Hey, do I look fat?” You could say, “No.” You should say no. That’s always the answer. You only answer if people are asking for advice, except in this very special session we’ve crafted and we’ve specifically set the expectations for. We’re going to go into a session where everyone in the mastermind group gets to talk about you as if you’re not in the room. You can’t talk. All you can do is take notes. 26:39 You have to know these people. You have to have a reputation and a relationship with these people. You need to know where they’re coming from and you need to know that they have your best interest in mind. Maybe they don’t always have the context, and maybe the things they say don’t necessarily apply. The point is to get you to think. Even if you disagree with someone, write down why you disagree. Write down why this thing is important to you. Write down why you might be wrong and what you could do differently. 27:06 You set a timer. It’s actually really quick. It’s maybe 10, maybe 15 minutes. There are six of us, let’s say. You’re in the group, Cory, and we do Cory’s unsolicited advice session. We start the timer, and you only do this after you’ve done the actual session. I should back up a little bit. I gave you the outline for the session. You should share updates, goals, challenges, and commitments in your mastermind meetings. 27:49 This is for one person. This is why it takes many days if you have a decent-sized group. You can’t do six-one and a half hour sessions in a day. You just can’t. It’s very intense. You have to have breaks and eat. It’s too much. 90 minutes is a good session. I wouldn’t go more than that, but I wouldn’t go less than an hour. You get into the challenges, the things that are keeping you from getting to your goals, and everyone basically works on you and your business as if it was them. 28:23 You’ve got your own challenges in your own business. You’re thinking, “How do I do this? I need to fire this person. I need to hire a new person. How are we making money? How are we investing money? What are we trying? What’s working? What’s not working? How can we do more of that?” You’re always in this world. 28:40 You’re always working on these things. Very rarely are you working on someone else’s business, and very rarely are other people working on your business. That’s what makes this so special. You’ve shared all of the details and the information people need to give you advice, and then they just brainstorm on your session. They bring their own experience to bear. They say, “I did advertising, so I would do it this way, because I did that and it didn’t work.” They’re just working on your business. 29:08 You’ve got half a dozen people working on your business as if it was their own, and it’s amazing. It’s intense. You’re going to be taking a lot of notes and sharing with people. You go around and you do these sessions for each person. Again, I recommend you do it in person. I recommend you get a retreat, because this is going to be invaluable to you. If you’re doing it in weekly calls or however often and you do one at a time, this could happen over the course of months. You do one person’s deep dive session and then another person’s. 29:42 The problem with doing it over the course of months is that things are not as fresh. If you do each person’s session one week, it’s going to take you a month or two to get through everyone’s session before you get to unsolicited advice. By then, it’s been months since you got your advice. You’re probably applying some of it. You don’t have the clarity of what advice you might get from people in the unsolicited advice session. I really like the in person aspect. 30:09 After you’ve done those deep dive sessions, ideally after everyone’s are done, we like to keep unsolicited advice to the end of the retreat. You could have a campfire. We’ve done that. You could have a nice big couch or living room. You sit around, start the timer, and people start talking about you. Do the deep sessions before you get to unsolicited advice, because it gives people fuel to talk about you. 30:36 They already know your challenges. They already have heard from you. At this point, imagine if you actually did leave the room, the Air B&B, the house, the campsite, or wherever you went for your session. Imagine you actually did have to leave. People are going to talk about you. They’re going to say, “I’m excited for Cory, but it seems like he’s having trouble with this. We talked about that, and he didn’t seem to be really receptive. I worry that he’s not going to do what’s necessary.” It’s very candid, open, and honest. 31:12 It really truly is as if you’re not in the room. We even correct people if they start to say “you” or look at you, referencing you as if you’re in the room. “No, you say ‘Cory,’ because he’s not in the room” It’s a very candid conversation. We record the session in audio so you can listen back, but the entire time, you’re just taking notes. It’s a very humbling experience, but you’ll get a lot out of it. At the end, you get five minutes to clear things up or clarify in case there were some misunderstandings, or to ask further questions. 31:48 Cory: That’s an amazing bonus section after everything. It makes me feel like I want to be even more careful with who I bring on, because I automatically start thinking about objectivity vs. subjectivity. I would make sure that I find people that really understand how to be objective. A lot of people, when they give advice, are very subjective with what they give you. I would really want to make sure that when I’m trying to find the right people to have a mastermind group with, that they would understand how to be objective. 32:23 I have a friend, one of my best friends, Jonathan, who really understands how to be objective with opinions and advice. It’s not his personal preference or opinion. It’s whether this makes logical sense. I love that. I know all of those guys are very objective with their advice. It’s not just like, “He shouldn’t use the color blue.” It’s like, “He’s doing this. This doesn’t make business sense. I really hope Sean starts doing this.” I love that you guys record the sessions so you can listen back, because I’d love to hear what that’s actually like. It’s a very interesting concept, having unsolicited advice like you’re a fly on the wall. 33:09 Sean: That type of thing never happens. You don’t get that experience. 33:11 Cory: No, it’s very different. I want to try it. 33:16 Sean: It’s very good. Cory mentioned that he knows someone who’s very objective. Not everyone is. Not everyone has the same strong suits, so again, you want to find a complimentary group. One guy is going to always be insightful and ask the great questions. Someone else is just going to be harsh and cut to the point, like, “Oh, that stings a little bit,” but everyone’s kind of nodding because they know it’s what you needed to hear. But they all balance each other out. It’s really important to get that diversity if you can. 33:52 Sean: I asked, “Is the Community a mastermind group?” just in case nobody else asks that question. No, it’s not. The Community is great. You should be in a community. There are all kinds of other benefits we’ve talked about in other shows, especially on the seanwes podcast, but no, the Community is not a mastermind group. Again, I would recommend between four and eight people in a very tight-knit group. 34:16 “How often, ideally, should a mastermind group meet?” I would say, honestly, ideally, I would like if it was every quarter, but I know with my group and the guys I meet with, that’s a little too frequent, especially with how deep we go on these retreats. We go several days, and it’s nothing but these deep dive sessions. You go to a conference once a year, and you’re like, “Woah, what an experience,” but imagine that twice a year. Remove all the people except six and remove all the speakers. It’s just about you and your business. 34:50 Do that twice a year. That’s how intense it is. That works really well for us. If you’re doing a lighter version, you could maybe do it more frequently. If you have people who are totally in different parts of the world and you want to meet more regularly, you could do weekly. I can’t really say what will work for you, because I just haven’t had the experience with different frequencies. The part I get most concerned about is the lack of depth. If you only do calls and you do them frequently, you don’t have enough time to have much depth. 35:25 Maybe you could have check points. Something we were going to do if we couldn’t make it to the retreat, and I honestly think maybe we should do this in between retreats anyway, is to have check points. Each person writes out a big email and has a bunch of bullets and sections, giving an update on their situation. It’s not like we’re going into a deep dive session for everyone, but it’s a form of accountability. It’s like, “Wow, he’s doing great. I need to step it up.” It’s just good to share those progress reports. 35:58 Cory: It’s funny, because twice a year seems like the sweet spot for me. The older you get, the shorter the years go. At first, I thought, “Once a year sounds about right, a big deep session,” but weekly and monthly? Like Sean said, if you have the time to go deep, that’s the point of this. Go really deep and do it. Twice a year, three times a year, that’s good. 36:20 Sean: People may be surprised. They’re like, “Sean, I thought you were all about weekly?” When I rant on weekly, I’m talking about your publishing schedule. You’re talking about reaching consumers and getting inside their weekly routines and habits and staying top of mind so they buy from you. It’s a really different subject from how often you should do a really deep dive session on your business. 36:44 Cory: Yeah, totally different. 36:45 Sean: Sam asks, “How many people is too many? When does it become a meetup?” More than eight. Maybe even eight. Eight would be really difficult. Here’s an interesting thing. Cory and I are brothers, if anyone didn’t catch that. We didn’t just happen to have the same last name. There are 13 kids in our family. We’ve got a lot of brothers and sisters. 37:20 Including our parents, that’s 15 people. You’re like, “Wow, 15 relationships!” No, not quite. It’s not 15 relationships. It’s 15 plus 14 plus 12 plus 11 plus 10, and so on… relationships. Cory and I have a relationship. I also have a relationship with everyone else in the family. Add up all the people. There are 15 people, there you go. Then Ryan, the brother in between Cory and I—Cory is third oldest, I’m the firstborn—Ryan has a relationship with everyone, including you. 39:00 I want to say that it’s in the 190s. We’ll come back to that. You add one person, and it increases the number of relationships exponentially. When you go from 7 to 8 people in a mastermind group, it’s not just one more person—it’s 7 more relationships. 39:24 See what I mean? It gets very, very complicated. 39:33 Sean: Stephanie asks, “Should you be in a mastermind group from the beginning, or do you need to be at a certain level?” It’s the level that you’re at. Your mastermind group is going to be people that are your peers. There’s always going to be someone who’s kind of the best, but you don’t want them to know. 39:51 Cory: You also don’t want it to be you. 39:56 Sean: Don’t be the smartest person in the room. You have to trick the smartest person into thinking that they’re not. If you can trick the smartest person, doesn’t that make you the smartest? That’s a thinker. Scott says, “Is it okay to start a mastermind group with others that are all below me in terms of experience, or would this have a negative effect?” Don’t go after that. It may happen, but try to not be the smartest person in the room. 40:24 Cory: Even if he was a level four and he’s around people who are right next to him at a level three, they’re all level threes, it still gives the mentorship thing, like he’s trying to help everybody. That’s too much pressure. 40:35 Sean: You want people to help you grow. 40:38 Sean: Matt says, “How do you keep momentum within the group?” Stay consistent, stay in touch, and stay motivated. That’s what I would say. Make sure you’re really regular. It’s 120 relationships, by the way. Greg, you get the trophy! I thought it was more, but that’s still a lot. That’s a lot of relationships in our family. Think about it. 120 relationships. What are the chances that those are all in good standing? 41:20 That’s the status of a house. We don’t all live in the same house anymore or the same city for that matter, but it’s crazy. It makes you really think. When you add one more person to the group or you add more people to your family, it’s serious. It’s complicated. Stay consistent. Stay in touch. Stay motivated. I’ll let you think on those. I won’t go into it too much, because I want to stay pretty quick here. 41:51 Garrett says, “Are mastermind groups niched? If so, should I be in multiple, like a business one, a game development one, a marketing one, etc?” I do know people who are in multiple. Personally, I’m not. There’s the temptation of saying, “I don’t have time to be in multiple,” but we don’t have time to be in one. We don’t have time to do anything—we make time. I could make time to be in another one. In fact, a couple of weeks ago, I was invited to be in another one. 42:17 They were like, “Hey, I heard you on such-and-such podcast. I heard you were at this conference and thought about you. We’re starting a mastermind. Do you want to be in it?” I’m like, “I’m in a mastermind, first of all.” Then I go to the guy’s Twitter, and his most recent tweet said, “I’ve tried starting up masterminds before and they’ve always failed. Anyone have any tips?” I don’t think so. 42:48 That’s not something you want to be saying. Cory, I know you’re wanting to be gracious. You’re wanting to extend some grace to the guy, but you don’t have time. We’re talking about six people. Find six great people. Great people. This is what you’re going to invest a ton of time into. Your mastermind group is not an area where you compromise, where you base your decisions on people’s potential. Let the potential people start their own mastermind group. 43:29 You start a mastermind group with the people who are action-takers. They’ve got the right mindset now and they’re taking action now. Start a group with them. 43:41 Cory: I said, “Well,” so it sounded like I was going to go in that direction, but I was actually going to say, “Well, it’s okay, because you’re already in one.” Honestly, that’s enough. You either trust the people you’re with in that mastermind group to give you the feedback and advice you need or you don’t. You’re kind of fishing for advice if you’re in multiple groups, but maybe I’m not understanding the motive behind it. Maybe you’re trying to help other people. 44:03 Sean: In Garrett’s question, he’s talking more about specific niches. It could be about business, it could be about game development, it could be about marketing. Maybe you get more out of these different focused things. You certainly could, but you should be very wary of whether you’re spreading yourself thin by being in too many groups. 45:16 At some point, if you’re in six masterminds, you’re not doing the work. You’ve got to know yourself. How much do you need to do the work, and what are you focused on right now? Yeah, you could learn business and game development and marketing all at the same time, but should you? Is that what’s holding you back? Is not simultaneously knowing business, game development, and marketing really well actually holding you back? Those three things simultaneously? Almost certainly not. You almost certainly have one primary bottleneck, so find out what that is. 45:57 Is it that you don’t have your business right? Or is it that your business is right and you need to market it? It’s one or the other right now. It’s not both or three at the same time. That would be my answer. Go all in on one mastermind group. 46:13 Sean: Anika says, “How do you know which people you should include in a mastermind and which to say no to?” Say no to the people who aren’t taking action. Say no to the people who don’t have the right mindset. 46:26 Cory: Yeah, and I think you’ll know who is your peer. You can kind of see where they’re at and whether they’ll be a good fit or not beforehand. 46:34 Sean: So many reasons for getting people at your level and growing with them. The challenges are similar. You might be thinking, “What if I want advice from someone who’s well beyond me?” You want a consultant. Consultants are also great. Get a consultant. Or, if you have a mentor, awesome. If you don’t have a mentor, be a person that someone would want to mentor and go where mentors are. Don’t ask them. Three steps: Be a person someone wants to mentor. Go where mentors are. Don’t ask them. 47:29 Pro bono is given. Mentorship is given, it’s bestowed upon you, so be a person who deserves it. Don’t ask for something that should be paid for. If you can’t find a mentor, I never had one, but you know what? They’re all over. Some of them have a million followers. Some of them mentor a million people digitally, not one-on-one. If you pay attention, they have a lot to share. Books can be your mentor. 47:58 Family members can be your mentor. Don’t cry because you don’t have a mentor. I didn’t have a mentor, but they’re out there. You just have to find the right people and listen to them. Don’t go begging people for something that should be a paid service. What you should do is pay people for consulting. Be someone that someone wants to mentor, someone that deserves to be mentored, go where mentors are, and don’t ask them. Otherwise, pay for consultants. 48:25 I’ve spent thousands upon thousands of dollars on consultants, and it has been the best investment ever. Those people don’t have time to mentor me, and I’m not crying about it. I give them money, they give me advice that makes me more money. It’s that simple. 49:06 Do what David did. Try it three or four times. You may not get it perfect. That’s really good David. I like that. Also, don’t be afraid to quit and/or kick people out, if you’re the one who started it. If it’s not a good fit, you’re going to know. Don’t prolong the inevitable. Get out. Quit. If a person is a poison, cut them out. You’re done. 49:41 Keshna says, “What’s the best way to find and join a mastermind group? Are they free or paid?” They can be free. There’s nothing wrong with free. They can also be paid. It doesn’t really matter, honestly. The right people will invest in themselves, and you’re going to get way more out of it. Some people have paid masterminds because they want you to be invested. If you’re not around really self-disciplined people, I’m not saying those are the wrong people. 50:10 Self-discipline is very difficult. We all struggle with it. That’s why it’s called discipline. We are disciplined. It’s not self-easy. We’re used to discipline and we do it when it’s hard, but not everyone’s there. It’s not like it’s wrong if someone’s not self-disciplined, but you have to know. You may have people in your group who aren’t self-disciplined. If you’re fortunate enough to find people who are, you don’t need membership fees. 50:43 They’re going to show up, do the work, and go to the retreat anyway. By having it be paid, by having it be something you invest in, they’re more likely to follow through, show up, and do the work. In our case, our mastermind, the group we do, is not paid. It’s technically free. There aren’t any dues or anything, but we do an in-person mastermind, and we have to pay for food, flights, and the venue or the house. It ends up costing each person thousands. 51:17 That, in and of itself, because we do it in person and it requires money, means that we’re invested. We have skin in the game. It’s not actually about money. Who gets the money? I don’t know. Should Groups Have a Leader? 51:34 Sean: Shannelle says, “Should there be a person in the group who takes on the role of a leader, like someone who monitors everyone’s work and progress and makes sure that they do it?” I don’t think a mastermind group should have a leader. Then, it’s very clear that someone is the top person. The whole point is that it should be peers. It should just be a network, all of these different relationships between each person, a unit. Maybe someone helps facilitate, but we all take turns doing that, so there shouldn’t be a leader. 52:45 Sean: You have to have an assigned point person for certain things. Who’s going to be the person who makes food? Who’s going to keep us on schedule to make sure we’re doing our sessions on time? Who’s going to rent the place and handle the money? Who’s going to take notes? Who’s going to record this? There are different point people, and the group collectively assigns that. We share the load, but it’s less of a dictatorship. 53:15 Cory: That’s better, too, because everyone is more invested. They all have their own part in it. They aren’t all looking up to one person saying, “What do we do?” I like that. 53:25 Sean: Scott asks, “How harsh-Sean should you go on members who don’t take action or progress in their goals?” We haven’t quite reached this with our group. I don’t think we’ve had a problem here. Honestly, I haven’t told them yet. I’ve talked to one or two people in my group since the last mastermind retreat. I’m going to tell them at the next mastermind retreat, but I wish they went harsher on me. 54:26 I told one person this, and he was like, “We were trying to figure out a way to be tactful and not offend you.” Basically, it did me a disservice, not being harsh. It made me waste time. It’s my fault, because I was doing the wrong thing in the first place. My mastermind group could have saved me wasted time if they had been a little bit harsher. 55:59 That’s what I would say. If you get to that point and you meet up with people and the next time someone comes, they haven’t taken action, be harsh. Be harsh and be serious. If they come back and they still haven’t taken action, kick them out. They’re done. That’s what I would do. 56:19 Sean: Scott again asks, “Sean, did you have any reservations before joining a mastermind group?” I don’t think that I did, but I have been in business for a long time and I also knew these people for some years before joining a group with them. I didn’t have that hesitation because it was very gradual. 56:44 Scott follows that up, “Cory, do you currently have any reservations about joining or starting a mastermind group?” Maybe that would be more interesting. Are there any reasons you don’t want to or are maybe hesitant to join or start a mastermind group? 57:04 Cory: No, not at all. 57:05 Sean: So you’re sold on it? 57:07 Cory: Oh, yeah. I would love this. I think when you said four to eight people, the number eight scares me. 57:16 Sean: Maybe four to seven? Or do you think even six? 57:19 Cory: Maybe. Four people, for me, would be best. Three is just kind of weird. 57:30 Sean: You can also add people more easily than you can remove them. 57:36 Cory: Probably. You’re probably right. I’m totally open to this, and I would love to do something like it. If I did do it, it would be in person. There would be no exceptions to that, because you can read people better. I mentioned in the beginning that I want to make sure that it’s not a hang out, but you would also want it to be a little bit of a hang out sometimes. Sean did a retreat, so they went to Idaho and different places, so it’s almost like a mini-vacation with these people. You’re getting to know them, to spend time with them. 58:21 When you’re getting to know somebody on a personal level, you can also help them in a business sense, if that makes sense. That’s why I would do it in person, because you get to know people on a personal level. If you know someone as a person and you don’t just know about their business, you can help them more. 58:47 Sean: That accelerates when you meet in person. 58:49 Cory: Right. If you do that over a call, you don’t really hang out and get to know them. If I did that, Scott, I would do it in person. 59:02 Sean: What I’ve noticed is that, so far, you’ve said that you’re sold on the idea, you like it, “if” you did it… Let’s imagine this was a little accountability meeting. You know where you are now. You know where you want to be, and you’ve determined that one of the challenges is that you need to be around people that are pushing you forward and you want specific advice on your situation. 59:28 We’ve decided, “Okay, it sounds like a mastermind group would be a good idea.” We’re now at stage three, which is the challenges. You’re saying, “Alright, yeah, mastermind sounds like a good idea. I like it. If I do it, I would do it this way and that way.” Now, stage four is commitments. Are you going to either join or start a mastermind? 59:51 Cory: I’m definitely going to bring it up to my friend Jonathan, who I mentioned earlier. I’m going to make him listen to this episode because it’s so good. I brought up objectivity vs. subjectivity, and he loves that topic. I’m going to bring this up to him, and maybe we can get something rolling. He knows some people. Who knows? 01:00:11 Sean: When are you going to do that? This episode will be out on Tuesday, the 20th of September. Sometime that week, will you share it with him sometime that week? 01:00:24 Cory: Oh yeah, I’ll share the episode with him for sure. 01:00:27 Sean: Okay. We have a sabbatical after that, so maybe on the sabbatical or the week after, when we come back and do a show, we’ll get an update. 01:00:35 Cory: Yeah. You will, because on the sabbatical, I’m going with him and his wife to Colorado. 01:00:43 Sean: Two shows from now, we’re going to check in and get an update. 01:00:49 Sean: Matt says, “How do you make sure everyone’s receiving enough value to make them clear their schedule for the next one?” You have to be taking action. That’s why I made Cory just take action right now. You’re not going to get value unless you take action. Ideas are worthless. Courses are worthless. This podcast is worthless if you don’t take action on it. The value isn’t in the information, it’s in the application of the information. 01:01:20 Make sure people are taking action, and they will get value out of it and they will clear their schedule for the next one. 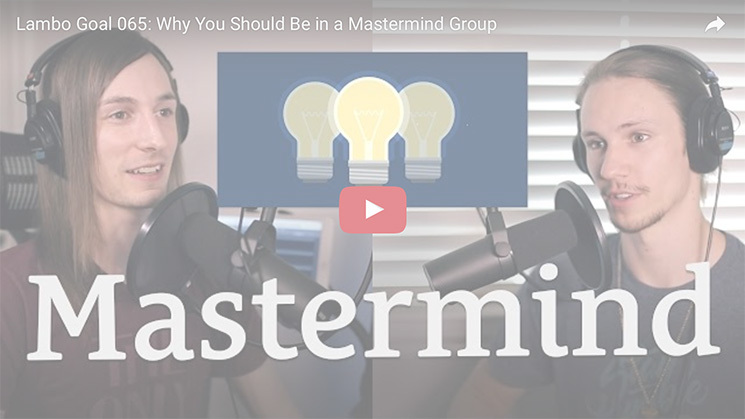 Keshna says, “Can you ever outgrow a mastermind group?” That’s an interesting one, because my initial thought was, “No, you should always be in a mastermind group,” but that’s not exactly the question. I think that you can outgrow a mastermind group, if the people are not growing at the same pace as you. What do we say? 01:01:56 The group needs to be peers. Now, I’m not saying to abandon people, but if you’re making $100 million a year and everyone else is making $100,000, I’m not saying don’t have them as friends anymore, but you have to be objective about this. It’s not about friends anymore. It’s about what’s best for our businesses. You’re not best for their business. You can’t help them at that level. You’re too far removed. You have different problems and different challenges. They need someone else to help them and you need someone else to help you. 01:02:29 It is possible to outgrow a mastermind group. 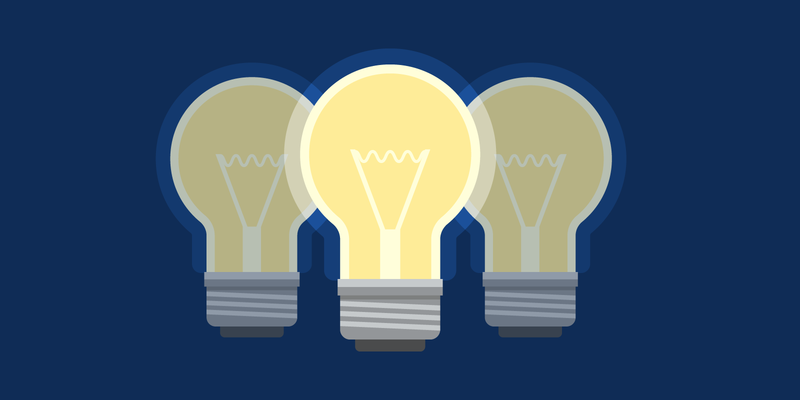 In a more broad sense, do you ever outgrow the need for a mastermind group? I would say, no. You should always be in a mastermind group. Get fresh perspectives and insights on your situation. 01:02:47 Cory: Yeah, I think so. Like you said, you have to take action. That’s where the value comes from. Anyone can join a mastermind group, but if they’re not taking action and growing, you can easily outgrow them. They can be there and say, “Yeah, cool, I’m getting advice. This is great.” If they don’t take action on that and there’s no change, you can easily outgrow them.